The best season for farm visits and other outdoor learning is coming up. From May- early July, crops are well established, and it’s easy to distinguish between wheat, oats and barley. Livestock which have been over-wintered in barns are back out in field. And crucially for school trips – its warmer! Research on outdoor learning indicates that it is stimulating and memorable. Children are inspired and excited by the new setting, the chance to touch, see, smell, hear – and take part in – activities. A field trip is more than a day out. It’s a chance to link all that hard work in the classroom with the deal world, to fit learning into its wider context, and to show its relevance to life beyond the books and school gates. The best outdoor fieldtrips are embedded within classroom learning, and this allows teachers and children to get the most out of the event. -celebrate the completion of a topic a trip can illustrate how all the theory and classroom learning can be put into practice. Now is the time to start planning. Look on the Countryside Classroom, FACE, LEAF, or Natural England websites to search for farmers near you that host groups of school children. Book your date now before they get too busy. Plan – while there is plenty to learn from a farm visit, it’s helpful if teachers can suggest to the farmer what topics or aspects of food, farming or the landscape will connect with what the children have been doing in the classroom. But don’t be too close-minded: be prepared to be inspired, to see links to learning in unexpected ways. 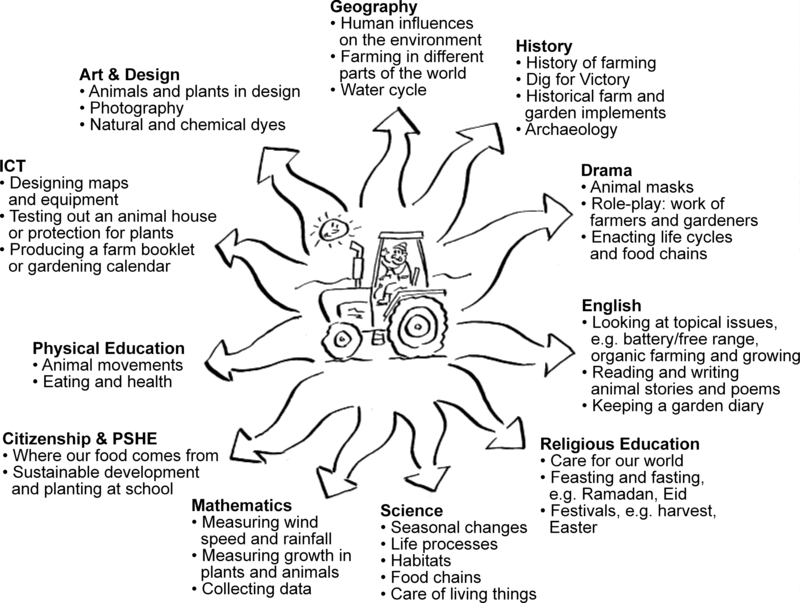 The diagram on the Outdoor learning experiences home page of a tractor and curriculum links, from FACE, shows so many possibilities for learning on a farm.